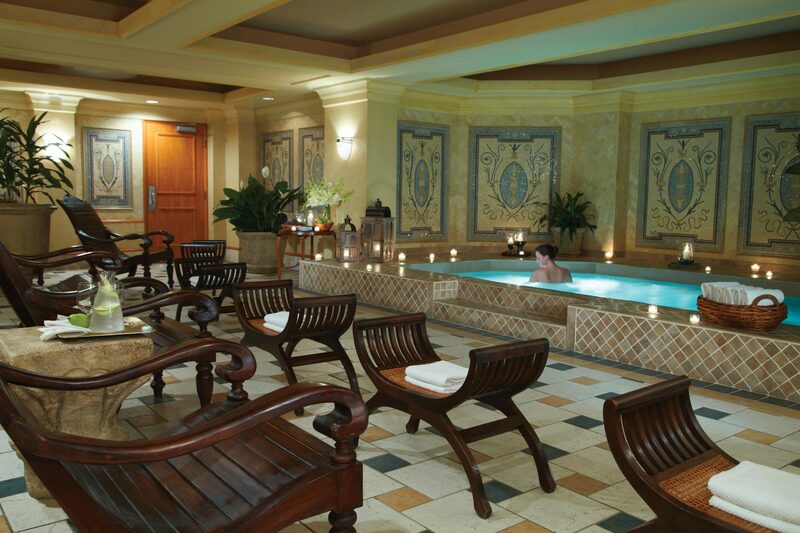 The Spa at the Grand Hotel is one of the Five Jewels on the Robert Trent Jones Golf and Spa trail. Spa director, Susie Marquez has elevated the trail gems with a philosophy of healing that transcends the outdated spa goal of pampering. Enter the Hall of Whispers and magic begins. Soon Suzie’s desire is fulfilled – for the person “To feel like mac and cheese on the inside, elegant on the outside – spa drunk.” That is with or without the help of complimentary mimosas. And the spa goer’s desire is also fulfilled, whatever it may be. The wet room is a pod that improves comfort and function during the rinse mode of body scrubs. The quiet room is without windows to eliminate distracting thoughts and create a guilt free experience. Beneath the lovely tiled design, the staff, wearing hard hats during construction, inscribed their wishes on the walls, led by Susie, whose voice is so soft spoken, it melts a heart. The Emerald of the Five Jewels at the Grand Hotel sits right on the water with 550 acres of sea and plant combinations to explore beyond the spa. Boardwalks link a fishing wharf, stocked with bait and poles, to a marina, a soft sandy beach, an elaborate pool and The Robert Trent Jones Trail’s Lakewood Golf Club. A cannon firing ceremony salutes sailors of past and present every day. We also salute the spa!